From the day of commencement, we are engaged in catering to the variegated requirements of the customers by bringing forth a comprehensive Laser Marking Machine. Utilized for making different laser prints and embroideries, these fiber laser marking machines meet the varied requirements of clients and provide a smooth finish to the fabric. 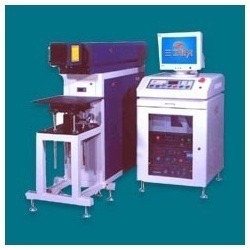 Manufactured under the guidance of our experts, these machines are further tested on various industry.